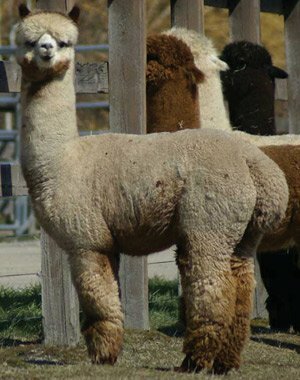 Fiber Criteria Highlights: Uniformity of Micron, 6 out of 8. 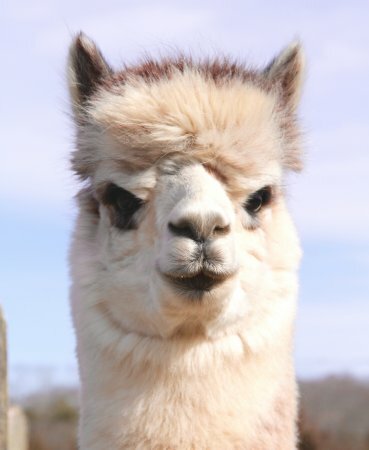 Uniformity of Length, 6 out of 7. 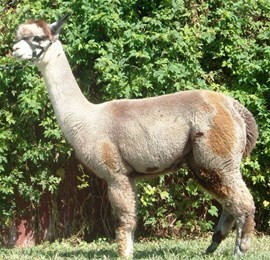 Uniformity of Color, 4.5 out of 5 possible points. 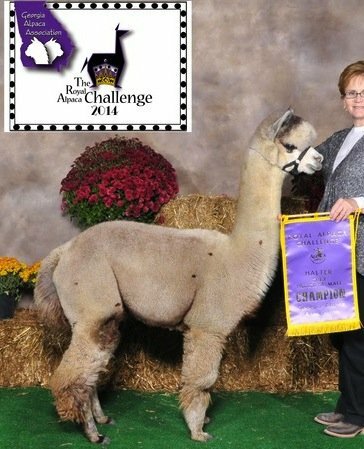 Rose Petal is another excellent daughter of "Legend's Challenger of KPR". 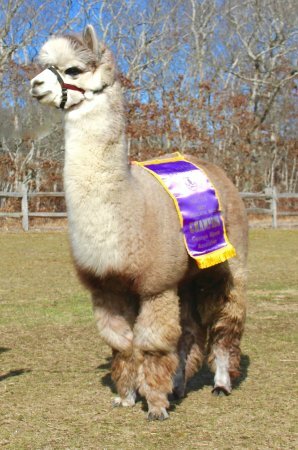 She was a part of our 2008 and 2009 show string. 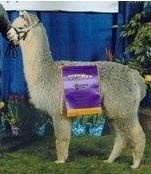 Her fleece is very fine with high amplitude, high frequency character. 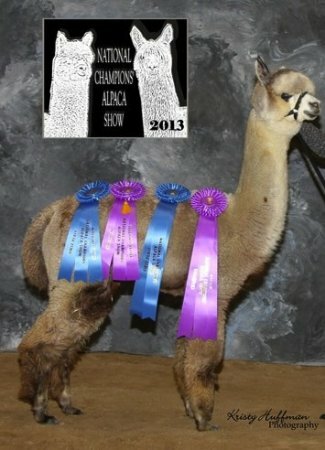 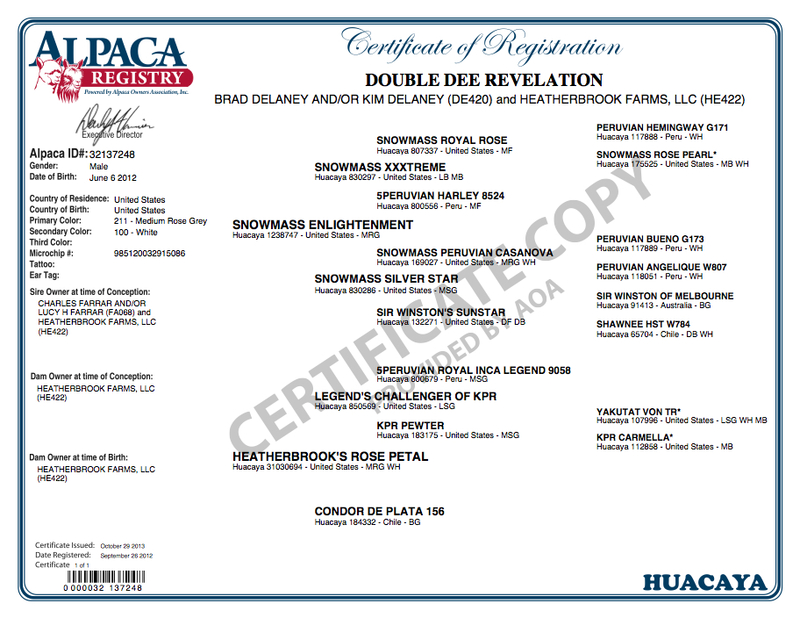 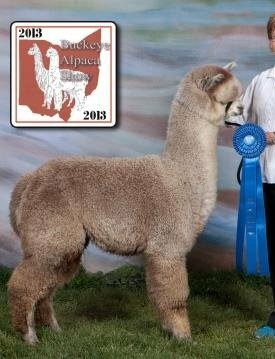 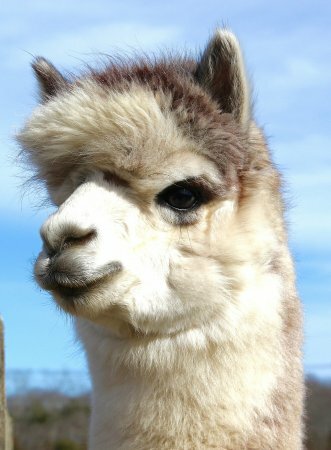 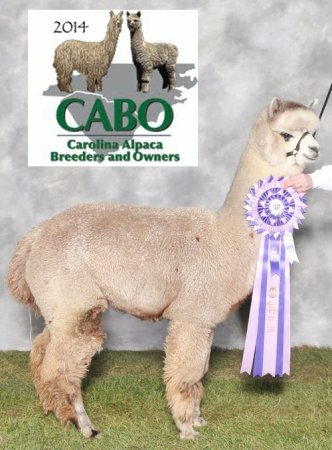 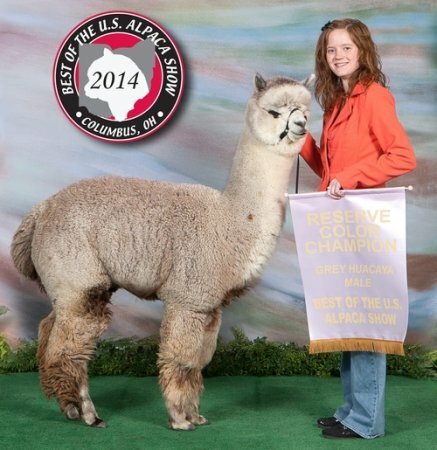 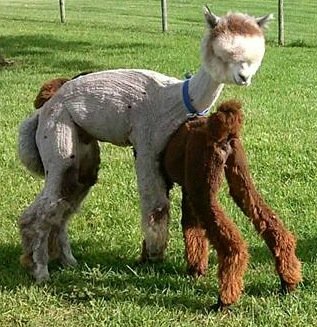 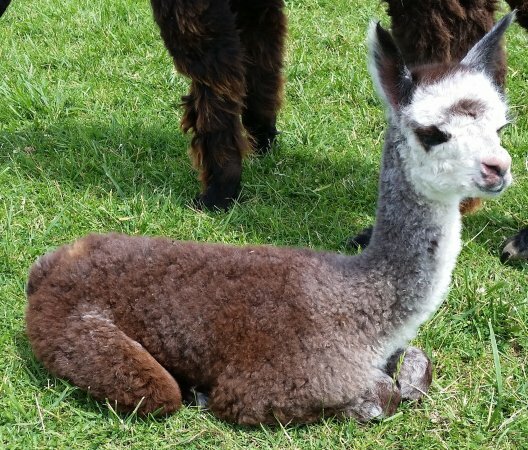 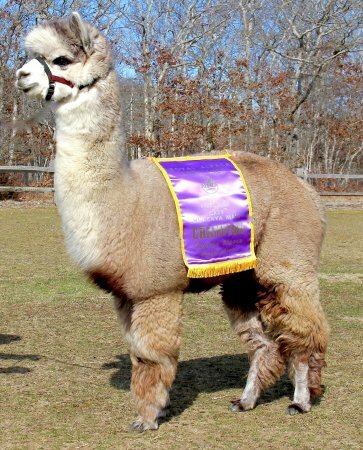 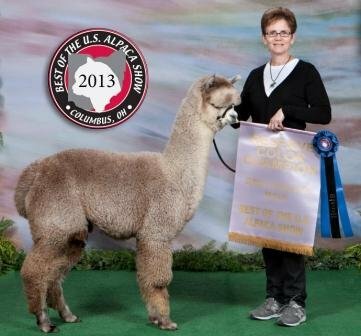 Her 1st cria, out of the spectactular "Snowmass Enlightenment" was a Color Champion as a juvenile.